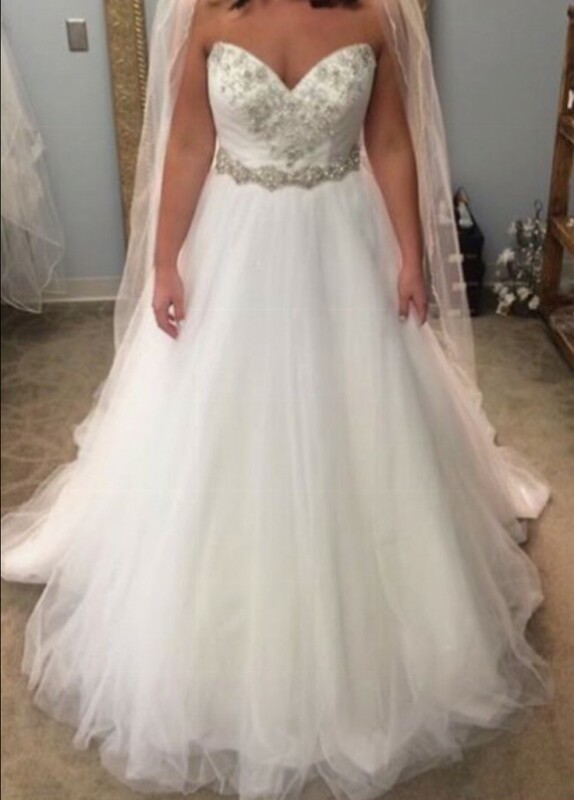 This is a NEW wedding gown, cathedral veil and bling belt that have never been worn outside the bridal boutique where purchased. It has also never been altered and is a size 10. This dress is very unique. The secret sequence effect on the under layers of the dress provides a beautiful subtly romantic shimmer! While the designer color is ivory this dress looks more of a soft white. Please contact us soon! This dress is just waiting for a beautiful bride!